As you all know, I LOVE the Battle For Honor book series! 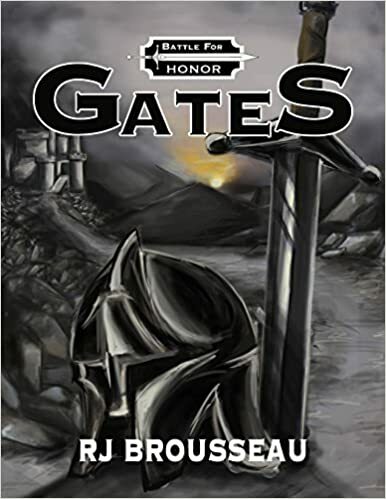 I talked a lot about Gates in the past, but RJ Brousseau has done it again with the Sequel! The sequel is called Rebirth! I am a strong believer that originals are usually the best but in this case, RJ Brousseau has stepped up to that challenge and wrote a sequel that has surpassed all my expectations! I honestly believe that Rebirth is even better then Gates. Many of you had read Gates and Rebirth takes place right where we left off. Make sure you pick up Rebirth to learn even more about your favorite characters, as this book goes more in depth about each one of them. A few of my favorite parts of this book are the way that RJ Brousseau approaches necromancers and vampires! He does not approach these in the typical cookie cutter fashion. He doesn’t fall into the typical stereotypes that come along with necromancers and vampires! The book introduces a new race and different classes that we have not seen before. Some of the elves are becoming unhappy with the way things are and just who is the shadow knight? I do not want to give too much information away so that you are just as surprised as I was with all the unexpected twists and turns. I truly recommend picking up this fast paced book. Rebirth has a theme of never abandoning hope even through all the deception and betrayal. I think this is a great message for all of you because hope should never be lost. 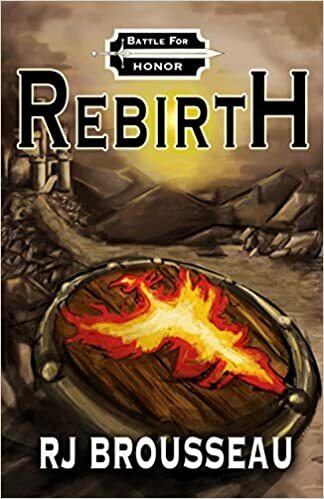 Below is a synopsis of Rebirth as well as links to amazon for both Rebirth and the original Gates. I am anxiously awaiting the third installment of Battle For Honor! The winds whip over the hallowed lands of Agora, as all they have ever known is now changing, everything sacred has been shattered and crushed to dust. It has been six years since the dwarf capital Brinstone Gates fell to the invading elf army, but to many, it has been a lifetime. Things haven’t been this bleak since the Great War oppression washed over the lands many generations ago. The dwarfs have been allowed to establish a temporary home in MorBlanc, alongside the humans, yet they continue to be persecuted by both known and unknown forces. Thorel is king and desperately tries to keep his people safe, while struggling with everyday politics. Eagan, a former member of the human royal court, is now the sitting queen for the dwarfs, yet exactly where do her loyalties lie? Thorel’s inner circle continues to support the king, although allegiances will be tested. The elves prosper since their conquest, however life is now very different from before, and not everyone is happy. Kenric is wrestling with his inner demons, unable to comprehend why he suffers as he rises to ultimate power. He continues to remain obsessed with his plans to completely wipe out every dwarf, even as a larger goal is in his sights. Celeste no longer speaks with the goddess, instead she longs for more power, and freedom from her ever distant husband. Allies become enemies and alliances never before imaged surface, while the elves consolidate power, tightening their grip around the world’s throat. The humans are growing tired of sharing their home. Their troubled king, Travis, tries to find a way to deal with the public outcry over his decision to aid the dwarfs, all the while feeling his power slipping away. The humans, as well as all the other non-elf races, are feeling isolated, and fear they may be the next on the elf king’s agenda. The savior that descended amongst the dwarf people died by a single arrow, and with that, almost all hope died with him. The avatars are once again dispatched to the physical plane, but this time without guidance. Along with these heroes, a new evil is unleashed upon the world, known only as the shadow knight. Magic is even more powerful, and more unstable. Those that are able to control the energies are now able to accomplish great feats, or are consumed by the very powers they crave. Witness the discovery of new races and lands, and watch the vampire clans unite to form an independent nation. How does Thorel, the reluctant king of the dwarfs, respond to these new threats? Who else will stand up against the elf conquest? Click on the books below to be directed to the link!! I read Gates because of your recommendation, I loved it!!!!! Everyone listen to this girl, she has great taste! Awe thanks! Glad you liked it, try reading Rebirth it’s even better! Agreed I loved the first book! Looking forward to reading this one now! You have the best taste! I will need to read them both! Also love your bed room, super cute! Thanks! Yes go read them they are awesome! I love that you always give such good advice and recommendations! I also love how you try to get people to read! I will have to get the sequel, loved Gates! I will be ordering Both! Thanks for the recommendation!!! Been looking for a new read, thanks for finding this for us!